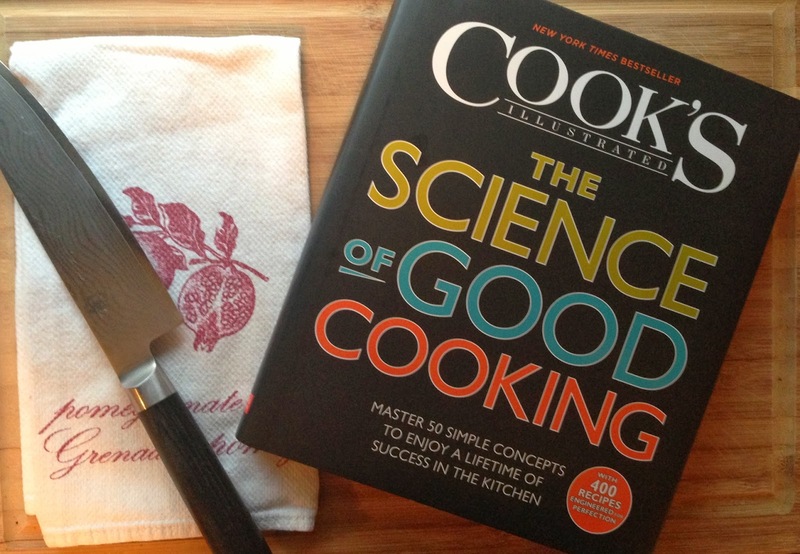 With so many changes happening recently, life has been pretty chaotic, however, before many of those changes occurred I had purchased the Cook's Illustrated - The Science of Good Cooking one day while I was on my lunchbreak. I had recently heard so much about how world-class chefs use science/chemistry to create perfect dishes consistently and although I understood why this might be the case, I couldn't wrap my head around HOW this would work. So after purchasing my new book I started reading the Introduction and pretty soon I was hooked. You might agree with me that with the huge influx of food and cooking blogs out there, the classic cookbooks have become almost as extinct as dinosaurs, however this particular book is completely different from any cookbook, food blog or cooking show because it teaches us the reason behind our scrambled eggs being tasteless and rubbery or why the cake we baked turned out as hard as a rock even though we followed the recipe perfectly. The reason is simple: Science. The following are just a few examples of why I can't put this book down and quite simply, why I refer to this book everytime I decide to try a new recipe. Before you "poo-poo" me for talking about salt, let me explain. Yes, I've always known salt is what brings flavour to all our favorite dishes, but do you know why? It is simply because it is a nutrient our body cannot live without. It can change the molecular makeup of food and because it occurs naturally, it is one of the most essential items in our kitchen. 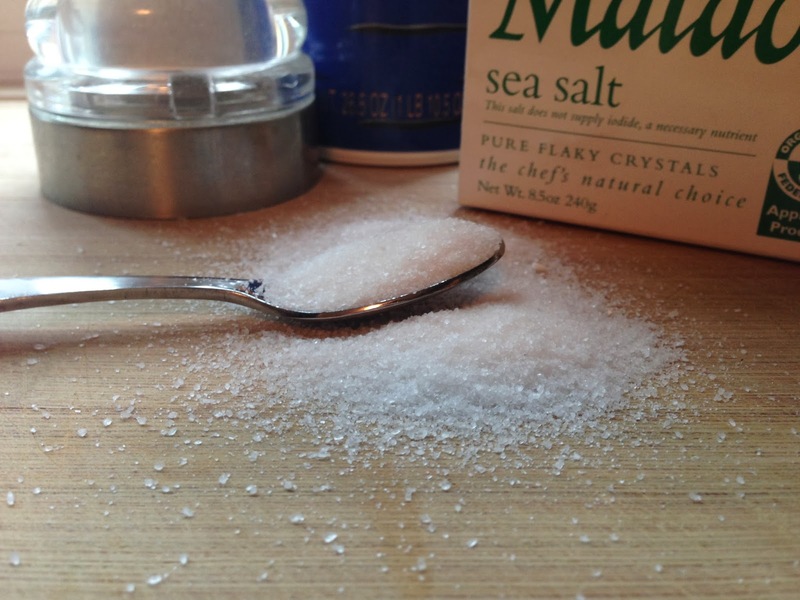 Do you want to know what to look out for when purchasing salt or the reason why sea salt may be better than table salt (and "no" it is not because one is completely natural), then this book will explain it perfectly for you. One of the ingredients our fridge is always stocked with is eggs, maybe it's our extremely busy lifestyle or perhaps because eggs are my husband and I's last minute go-to item when we are stuck for something to cook with or eat that is relatively healthy. 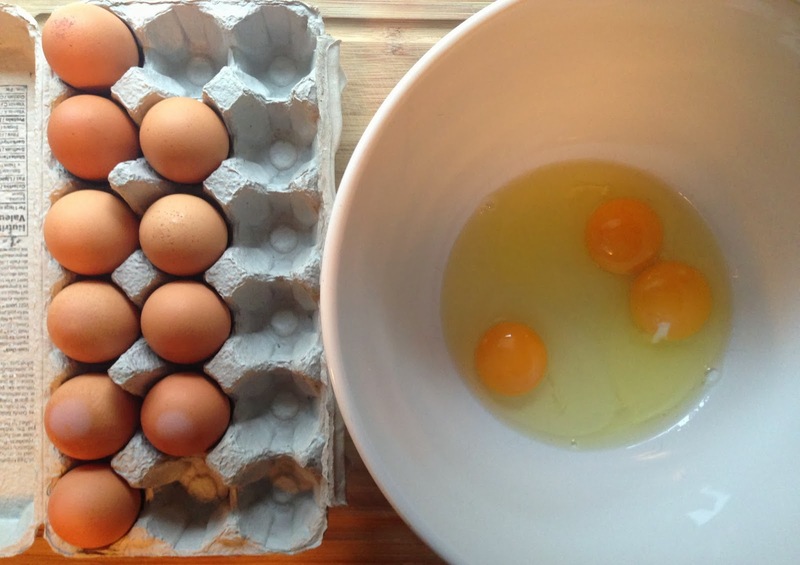 Cook's Illustrated explains how to make perfect eggs, the reason? The electrical charge on the protein molecules of eggs. It sounds more complicated than it really is, just read page 169 of the book and you will have perfectly fluffy eggs every time. 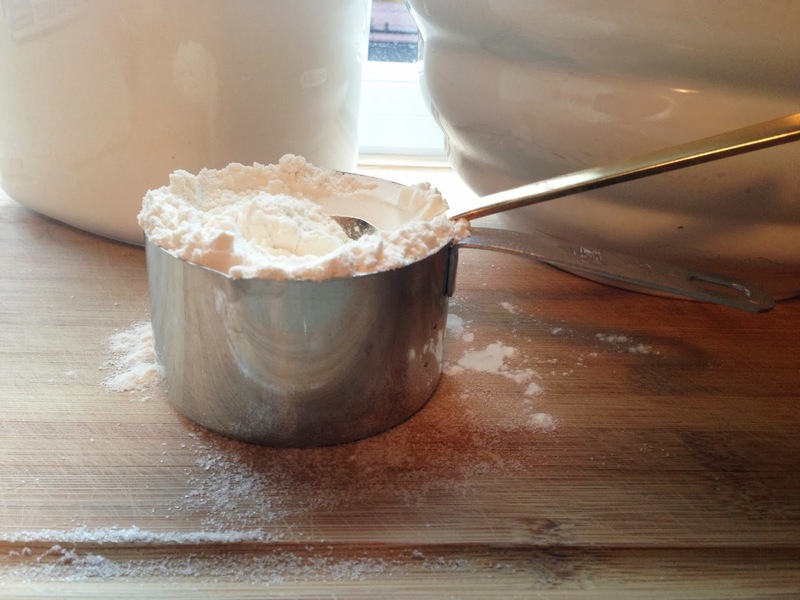 I've tested it out over a dozen times and each time, our eggs are fluffy and extremely tasty. Have you ever followed the steps of a double-moist chocolate cake perfectly however, the result is less than double-moist, more like a heavy brick? The reason may be the WAY you are measuring. Cook's Illustrated explains that the way each of us measures dry ingredients can be a difference of almost 13% more or less than the person beside us. How does this work? Read page 2 and it will all make sense. I can't seem to put this book down! If you enjoy cooking, baking and understanding the reasons why the first chocolate cake came out perfectly moist but the second one was a bit heavier, then Cook's Illustrated - The Science of Good Cooking is the book for you. And, NO, this post was not in any way sponsored!